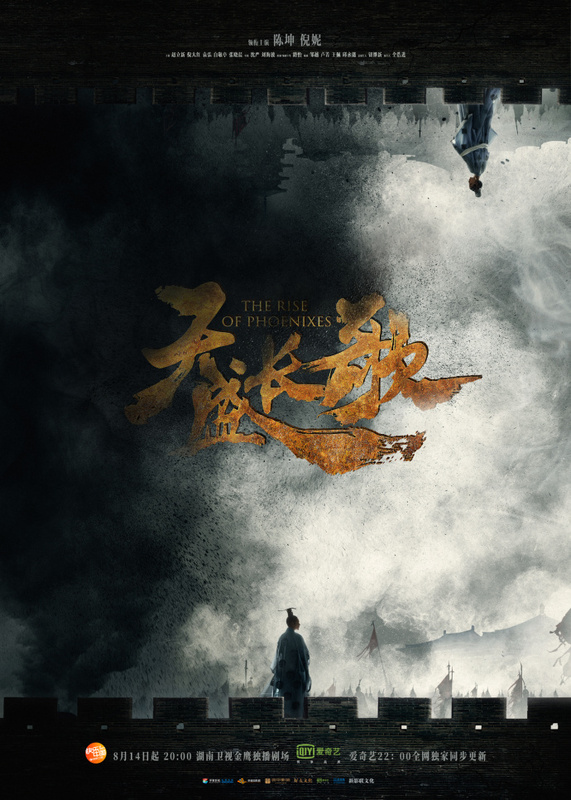 With censorship and other restrictions, It's rare to see a historical drama making it to television nowadays, most just air online or not at all, but it looks like one drama is about to buck the trend. The Rise of Phoenixes 天盛长歌 has been scheduled to broadcast as a daily drama beginning August 14, 2018 on Hunan TV. It will also air exclusively online via streaming website iQiYi. I can't say that I'm watching this for sure with so many choices for this summer, but it's arguably shaping up to be one of those historical epics (it has 70 episodes!) and boasts an impressive lineup from A-listers Chen Kun and Ni Ni down to the supporting characters. Lost in 1949 didn't bring in spectacular numbers despite being Chen Kun's comeback drama though I feel that this genre may make a more compelling watch especially with the big network and primetime slot to give ratings a further boost. Hopefully, there will be no sudden postponements like what happened to Peace in Palace, Peace in Chang An (I was really looking forward to that). I can’t wait and the timing is perfect as Fuyao ends this week. Since the novels of this and Fuyao are written by the same author and this is considered an indirect sequel (characters are related and set in same universe), I have good expectations. Watching for sure! oh wow, i failed to make that connection. Am watching Fuyao too, am a lot more interested now. But what about the fantasy? This looks more like historical politicking to me. As for Lost in 1949, I just don't like spy dramas in general and it looks like they are either a hit or a miss with C viewers as well. I really have high expectations on The Rise of Phoenixes. It should at least bring in 1% just for airing on Hunan TV in its prime time slot. The trailer looks good with its dark theme and the cinematography is very picturesque. Aside from two A-listers as leads, supporting casts are all talented veterans as well. I hope I won’t get disappointed with the pace with how long historical dramas have become. I've REALLY been looking forward to this but I'm a bit disappointed by the trailers which seem to focus on the male lead. I haven't read the book but my understanding is that it is focused on the female protagonist but it seems like the drama is going to make the male lead's role equal to or larger than the lead lady.